Back in 2016, I wrote a post about the MEXT Scholarship Application Form, but it’s changed significantly since then. Many of the questions and comments from that post still apply, and you can find them here. Beginning with the 2018 MEXT Scholarship Application, Monbukagakusho overhauled their application form. Now, it’s an Excel file and many of the questions have changed. Here’s what you need to know to complete the form, line by line. If you’re subscribed to my mailing list, you should already have a copy of the sample form I created. If you haven’t signed up yet, click here to join and download that form. 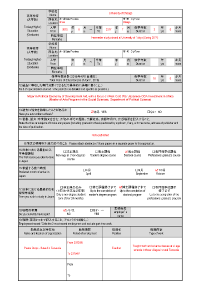 You can download the original, unfilled forms from MEXT’s official website. You should type the form using Excel, if at all possible. Not only is it easier for evaluators to read, it makes it easier for you to make corrections, if you have to. If you are going to write by hand, use black pen and write in all capital letters. Another option is to edit the form directly as a pdf. I use GIMP (a free, open source Photoshop clone) and pdftk, both free, to edit and compile pdfs. Writing year numbers: Be sure to write all numbers in the CE or AD calendar used in most of the world. Do not use the Japanese, Buddhist, Islamic, or Coptic Christian system of counting years. Even if you are filling out the form in Japanese, write all non-Japanese proper nouns (such as names, places, school names, etc.) in English. Do not try to write them in Katakana! A note about check marks: In the sample form, I used a special character that looks like a checked box. That character is available in the Japanese font. If you don’t have access to that, you can use a filled box character (in other words, an all-black square), replace the box with an “X” or simply check boxes by hand after printing the form. Click here for the full pdf version of the form! Your photo must meet the dimensions specified in the form, be clear and no more than 6 months old, and show your upper body. You can insert a digital image directly into the form before printing or attach a physical photo afterward. If you decide to attach a physical photo, it must be printed on photo paper and you should attach it with paste or a glue stick. DO NOT use staples, as that will damage your photo and make it useless. Everything between the Country Code (USA) and the “<<” is your surname. Everything after the “<<” is your given and middle name, in that order. It is your choice whether to list all of your given and middle names in the “given name” box or to split them between given and middle name, but you must include everything and cannot change the order, even if that’s not what you use in daily life. If you do not have a “<<” because you do not have a legal surname or have only one legal name, then you should leave the surname block blank. You cannot enter any special characters, such as accented letters, in the “Alphabet” line. Those should go only in the “Native Language” line. Yeah, that’s a lot of instructions for a “name” line, but I’ve seen a shocking number of mistakes with this one in the past. 2. Gender: This refers to your biological gender, not your gender identity. 3. Marital Status: This one is pretty straightforward! 4. Nationality: Write the name of the country that issued your passport. (In Japan, your “nationality” is a noun, not an adjective. For example, you would write “Japan” not “Japanese.”) If you have multiple nationalities, choose only one. If you are applying for the Embassy-recommended scholarship, you must write the nationality of the country you plan to apply in. 5. Japanese Nationality: Japanese nationals are not eligible to apply for the scholarship, but if you have multiple nationalities and choose to give up your Japanese citizenship to apply, they you would be eligible. Most applicants will check “No” and leave the rest of the line blank, but if you do have Japanese nationality, then you would have to check “yes” and complete the line. Note: In Japan, your age goes up on your birthday. It does not automatically go up on January 1 or on the lunar new year as it does in some other countries. 7. Current Address, Your address before departure for Japan, Phone number and Email: If you are living somewhere other than your permanent address, such as a college dorm, then you would fill that in in the first line. In the downloadable example, the applicant is studying abroad in Japan when he applies for the scholarship. (And, based on his address, he lives at MEXT headquarters). You would also use this line if you were living in a college dorm, etc. In line (2), you want to fill your permanent address (e.g. Your parents’ address, etc.). That way, they have a mailing address where they can reach you even after you leave the place you’re living now. For your phone number and email address, I recommend putting contact information that can be used to reach you at any time. If you’re living abroad, as in the example, put a phone number in your home country. You’ll be going back there to apply, anyway, for the Embassy-recommended MEXT application. Be sure to include the country code for your phone number! 7. 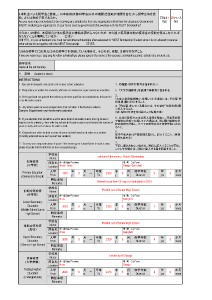 (5) Residing in Japan/Outside Your Home Country: You must return to your home country at some point during the application process to apply for your visa, and this section makes sure that you understand that. There is a special visa application process for MEXT applicants. You cannot change your residence status inside Japan (if you are living there already) and you can only apply at the Embassy or Consulate closest to your home. Keep that in mind as you make your application and travel plans! 8. Past awarded record: This section refers to Japanese government scholarships, only. 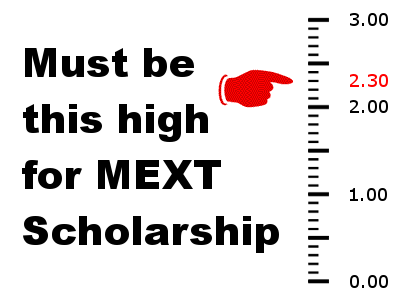 In most cases, if you have received a MEXT scholarship in the past, you would not be eligible to apply for one again. If you receive a MEXT scholarship, then you must complete at least 3 years of education or dedicated research activities (e.g. an advanced degree) before you are eligible to apply again. Japanese studies scholarships (1-year scholarships for exchange students) who have since returned to and graduated from their home universities. 9. Overlapping receipt of other scholarships: MEXT does not allow concurrent receipt of other scholarships, so you verify that you are not receiving other scholarships that will cover the same period as the MEXT scholarship or that you will withdraw from any others upon receipt of MEXT. If you are receiving a scholarship for your current degree, etc., that will end before your MEXT scholarship begins, you do not need to fill in that information here. 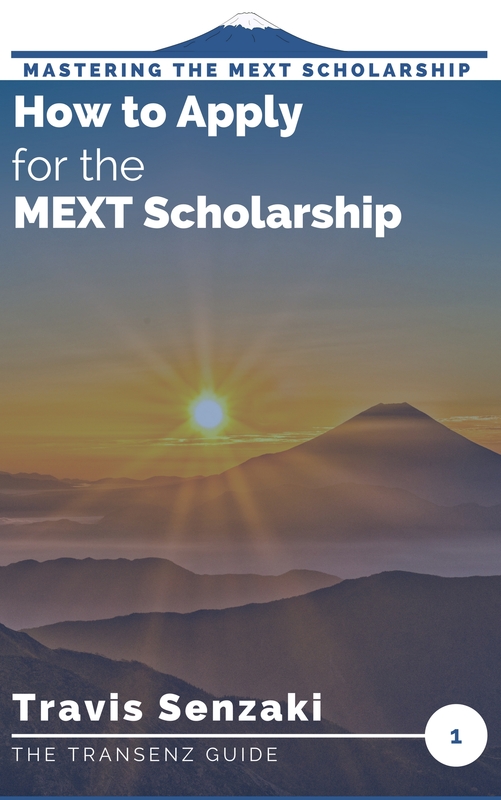 While receiving the MEXT scholarship, you are eligible to apply for and receive one-time grants that do not overlap with MEXT payments. For example, you could apply for a grant to pay the cost of travel to a conference, or for a specific research activity. Instructions: Most of the instructions are straightforward, but there are a few items that can cause confusion, explained below. 3. University Entrance Qualification Examinations: This refers to an exam taken instead of graduating high school. Usually, it is for home-schooled students, students who dropped out, etc. It will not apply to most MEXT applicants. 5. Attended Multiple Schools: As you can see in the “Primary Education” line of the example, I have included multiple schools for the sample applicant. You can fill it out the same way for your situation. If there is not enough space, you would write “See attached” in the Name line and explain the details in an attached sheet. If you are attaching an extra sheet, you should still write the start and end dates on the application form! 6. Total number of years studied: The English translation here is badly worded! When calculating total number of school years, you should include extended vacations as part of the year! The simplest way to think about it is that you are counting “school years” not “calendar years.” If your school year goes from September to June, that is 1 full year (even though it is only 10 calendar months). You should only use the months field if you attended less than a full year at some point. Primary Education: Typically, this would be your first 6 years of education. Do not include Kindergarten. If you attended a single school that covered elementary and middle school or elementary all through high school, be sure to separate it into the appropriate lines. Lower Secondary Education: Typically 2 or 3 years. As with elementary school, above, if you attended the same school from Middle School through high school, be sure to separate it into the two lines. Upper Secondary Education: This includes high school and any college prep school you might have attended, if that took place between high school and college. Do not count community college or polytech experience here, as those would be considered Tertiary education and should be in the next column. nd graduate in the second. As in the example, indicate any study abroad in here, as well. Location: Only the city and state is required. You don’t need the full address. As you see in the example I have separated the two cities with a slash in the Elementary column. Remember, do not abbreviate proper nouns, this includes cities, states, provinces, etc. Dates and Duration: As you’ll see in the example, I counted full school years, not calendar years. If you are still in school, be sure to count the full amount of time that you will attend, not just the time attended so far! Total Years of Education: This should be the total years as of the time you arrive in Japan. If you still have 6 months left in your degree, you would count those as if they were finished. 12. Field of specialization studied in the past: List your focus, major(s) and minor, plus the department, faculty, college, etc., that you belonged to during your last degree. Note: There is a similar question on the Embassy version of the Field of Study and Research Program Plan form and you will want to go into more detail there. 13. Have you Ever written a thesis? This question refers to a graduation thesis at the bachelor’s or master’s level, not to shorter term papers. 14. Publications: If you have any publications, including articles or conference proceedings, or any works that have been accepted for publication but not yet published, write them here. Graduation theses do not need to be listed if they have not been published, but if your university publishes all theses online or binds them and makes them available in the university library, then you would want to list that. Don’t worry if you don’t have anything to list. Most applicants, particularly those applying for Master’s degrees, do not at this point. Don’t forget to attach abstracts of all papers you list here. 15. The first course you plan to take in Japan: Where do you want to start your studies? (Note: you might not always get what you want. It depends on the university that accepts you). 1. You want/need to spend a semester taking preparatory classes before starting your degree. 2. You are arriving in the “wrong” semester and have to wait a semester before starting your degree program. 3. You are currently enrolled in a degree program outside of Japan and only want to come to Japan to complete research. Master’s Degree Course: This would include MA, MS, MSc, etc. In Japan, it is a two-year course and, as a MEXT scholar, you would need to finish in two years or you would lose the scholarship. If you think you need more time, go for a semester or two as a Non-regular student, first. Doctoral Course: PhD program. In Japan, this is a 3-year program. The same time condition as Master’s Degree applies. Professional Graduate Course: This covers all non-academic graduate degrees, such as MBA, MFA, JD, MD, and programs such as Teacher Training programs. These programs can be at the Master’s or Doctoral level. 16. Preferred Month of Arrival: You should base this both on your own situation as well as the program you wish to enroll in. Obviously, if you haven’t finished your previous degree, you would have to arrive in Japan after that is over. You’ll also want to see when the semester starts for your preferred program in Japan and what semesters it is possible to start your degree. If you don’t speak Japanese yet, keep in mind that you may be placed in a semester-long survival Japanese course for your first semester after arrival. Account for that semester in your plans when deciding if it is best to arrive in the spring or fall. 17. Term you wish to study in Japan: This question does not guarantee that you’ll get the whole term you ask for – you’ll have to apply for each extension separately later. It does tell the Embassy and the Universities what your long-term plans are, though, so they have a better idea of your situation. It is possible to start as a Non-regular student (in 15 above) at the Master’s degree level and select Doctoral degree here. Fill in this information accurate as to the date that you submit your application. Focus on full-time, paid employment throughout this section. If you have are still a student and have no employment history, that will not be counted against you, so don’t worry about it. 18. Do you currently have a job? You should only fill in yes if you are working full-time. A part-time student job is not relevant. Part of the intent behind this question is for the Embassy to determine if you will be able to leave your current job to go to Japan if you are accepted. (If you’re working part-time, it’s assumed you can quit whenever you want). 19. Employment Record: List your most recent two full-time positions here. The most recent position should be in the top line. 20. Language Ability: You must enter an answer in each block of both the Japanese and English line here, even if the answer is “0”. Note that while the English translation for “0” is “poor”, in Japanese, the term can also mean “no ability”. 22. English language qualifications: Similar to the question above, fill in your test scores for any official TOEFL (be sure to note the type) or IELTS test. You will probably be asked to produce the certificates from these tests when you apply to university. “Other” can include CEFR ratings, O levels, TOEIC, and country-specific tests like GEPT, but understand that those may not be accepted by all universities. 23. Accompanying Dependents: MEXT (and universities) discourages bringing your dependents with you when you first come to Japan. (In fact, in terms of visa requirements, you may find it impossible to do so.) Neither MEXT nor the universities will take any responsibility for your dependents or provide any support for them. If you do plan to bring dependents with you, list their names and relationship to you in this table. (Relationship should be from your perspective, so a son would be “son”, not “father-son relationship”). In any case, you’ll have to come to Japan first then apply for a Dependent Certificate of Eligibility for each family member you want to bring. 24. Emergency Contact in home country: Basically, if you were to die in Japan, who should the university call to pick up your body and bring it home to your country? When I was reviewing these applications, any time an applicant wrote “friend,” “boyfriend/girlfriend,” “supervisor,” or anything other than a close family member, we would encourage applicants to choose someone closer. You must complete every item in this section (although you can leave out the fax number). Remember to include the country in the address, the country code in the phone number, and use no abbreviations in the address. 25. Past visits or stays in Japan: List your two most recent trips to Japan. In the “purpose” section, the purpose of your visa is sufficient. You do not need to go into too much detail. You can also find dozens of questions and answers in the comments of the original article. Regarding the three copies of each document that are required, what needs to be done with the recommendation letter? I assume it doesn’t need to be authentic in three separate envelopes, right? I have heard different recommendations in different countries, so I would recommend checking with the Embassy. MEXT does not require that the Letter of Recommendation be sealed. If you receive yours unsealed, then it is simple to make two copies. If you do receive it sealed, I have heard some embassies say to submit just the one sealed version and others say to open it and make copies. So, the only way to know which is right for you would be to contact them. Regarding the placement preference form: does it effect the application procedure at this stage while sending the documents for embassy recommended scholarship if its not being sent?? As its written optional in front of placement preference form in required document list in embassy website. 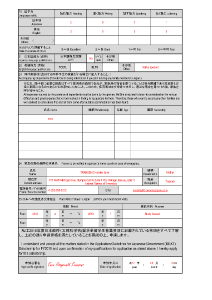 There is column in placement preference form asking professor name though its written in instructions “Applicants should NOT contact any Japanese Professor at this stage”. If you are following the guidelines given by your embassy, you should be fine. Ultimately, you will turn in the final Placement Preference Form after you pass the primary screening and obtain your letters of acceptance (I will have an article about that process coming out next week, so if you are not already subscribed to my mailing list, I recommend that you sign up to make sure you get the notice when it is available). You can list your preferred advisors on that sheet even if you have not yet contacted them at this point. Right now, it is just a list of the professors that you plan to ask to be your adviser after you pass the primary screening. I’m an Indonesian student, and I’ve just passed my second year of high school. I’ll be graduating next year around summer. I saw my local embassy’s website but the registration date was closed last April. Is there another way to apply for MEXT, to maybe catch the fall admissions? Also, do I have to finish my high school first, or can I apply now so that I can go to Japan for the fall admissions, right after passing high school? You start your application for the MEXT scholarship approximately a year before you start your studies there. So, I would recommend starting your application when you have a year left of high school. The process takes that long! For instance, the application process that just closed was for students who will start in April or September of 2019. At this point, there is nothing you can do but wait. For the undergraduate application, there is only one opportunity per year. Yes, if you apply this year for the Embassy Recommended MEXT scholarship, your scholarship and studies would start in April or September/October 2019. At this point, it is probably too late to apply even as a fee-paying student for the fall semester. My Bachelor degree will be complete in march, 2019. can i apply for MEXT 2019 scholorship. Moreover my CGPA score is 2.36 out of 4. Am i eligible for this scholorship creiteria? And one more thing my friend has done it’s intermediate in 2016 can he apply for Bachelor? I recently wrote an article about how to convert your GPA to MEXT’s scale, so I recommend you read that. It is not possible to simply convert your overall GPA, but the instructions are in the article. I’m afraid I don’t know what you mean by “it’s intermediate”. I would recommend that you check the application guidelines for the undergraduate scholarship to see what they require for academic background. I linked to those guidelines in my article about the 2019 Embassy Recommendation MEXT scholarship application. You can find the Placement Preference Form on MEXT’s website (and maybe on the Embassy’s, too). Here’s a direct download link, as well. Please check with the embassy to see how they want them submitted. Usually turning them in in person or by registered mail are options, but you’ll want to find out what the rules are for your country, since each can be different. Thank you for the information for embassy recommended application process. I have a question that in my country placement preference form is optional so i don’t need to fill it.Is it effect my application or not? Secondly i have completed my masters(internationally equivalent to bachelors) so i applied for MS Program in japan right?i have completed 16 years of education. Thirdly i have done thesis in my masters program but just write a thesis not any publication so what can i write in thesis section in application form? I would really appreciate your kind response. If your country is saying that the Placement Preference Form is optional at this point, the follow their guidance. Really, the way the form is written, it shouldn’t be required until after the Primary Screening, in my opinion, but each embassy or consulate operates differently. It’s best to follow the local instructions. Yes, if you have completed a 16-year program of education equivalent to a Japanese bachelor’s then you should apply for a Master’s under the MEXT scholarship. You can write your thesis topic and include your abstract even if it has not been published. i just ask one thing more that i have done research on “determinants of stock returns in Pakistan” so now i select a different topic for my masters research like risk management in small medium enterprise. is it make sense or not? should i relate my research in japan with previous research i have done in my country? Your research in Japan has to be within the same field of study as you majored in previously, but it doesn’t necessarily have to be the same topic. I am not an expert in the field, but it sounds like both research topics you mentioned are in business administration, so you should be fine. Thank you for the information for the embassy recommended scholarship process! About the academic records, after high school i studied 2 years in a technical course getting de degree of chemistry technician. Should I mentioned it? In the english language ability, the university i was planning to apply need the test scores but i was planning to take the test only if i passed the first screenning, is this a problem? If it wasn’t a degree program, then it wouldn’t count toward your GPA calculation, but per the Application Form guidelines, you should include it an an entry in upper secondary school if it was university prep or in higher education if it was a degree program (e.g. associate’s degree). If it was related to your field of study in Japan, then I would also suggest mentioning it briefly in the background of your Field of Study and Research Program Plan. For your English language proficiency test question, yes, that would probably be a problem. Mostly because of timing. Typically, the embassies release the results of the Primary screenings around the end of July and you need to be in touch with the universities to request a letter of acceptance by August 24. It may be very difficult to register for an official test, take it, and get your results that quickly. I have a question about my essay.. my essay is accepted but it will be printed on May .26 .2018 that is after delivering my all evidence to Embassy. can I refer to this essay in my application form? I’m not entirely sure whether you’re referring to your thesis for your degree or to an article for a journal. If you’re referring to your degree thesis and providing a thesis abstract for the application, then it’s fine to write an abstract for a thesis even if you haven’t finished writing it yet. If you’re referring to an article to be published that you want to list in your publications section of the application, that should be fine, as well. If it has been accepted and the publishing date is set, that would be fine to write. Hi Transenz, do you know if mext supports bringing my spouse with me? Or does that disqualify me? I wanted to make sure before I start applying for the graduate mext and if they can come is housing the same? Also would you happen to know if all the materials have to be physically taken to the embassy? Or can they be mailed? Thanks! You won’t be able to bring your spouse with you, but you can invite her after you arrive by applying for a Dependent Certificate of Eligibility. MEXT and most universities typically recommend that you wait about a semester to get settled in and into your study routine before bringing your family to Japan. MEXT will not take any responsibility for your spouse or provide any assistance, so it is going to be entirely up to you to find appropriate housing and take care of all paperwork. I recommend that you contact your local Japanese embassy/consulate to find out if they will accept mailed applications, as the policy may differ from embassy to embassy and I don’t want to inadvertently give you bad information. Most places I’m aware of do accept applications by mail, though you’ll of course have to go in person for the tests and interviews later. Hello Transenz, I’m looking into applying for graduate school via mext scholarship for thr 2019 fall and was wondering when should I start contacting labs and how should I go about that? Do I just email the lab supervisor and state my interest? I recommend that you try to get in contact with potential supervisors as early as possible for relationship building purposes, but don’t mention the MEXT scholarship application until you’ve made enough progress with that to be close to needing the professor’s help. At this point, you’re just trying to establish whether or not the lab is a good fit for you. I’m working on a more in-depth guide based on specific techniques and templates that successful applicants have used in the past, but it will be a while before I have that complete. In the meantime, remember that the person on the other end is a person, too, and try to establish a mutually beneficial relationship by offering value at the same time. I got acceptance from University to be recommended to MEXT (Uni recommendation). Now they need LoR from Dean of my University, however, my University just has Rector. Dean is Head of each Department belonging to the University. The problem is that, I’ve never worked with Rector of my Uni. Hence, who will be eligible to write the Letter for me? Is Dean of my Department is Ok? Ultimately, it’s going to be based on the organization in your university. In a Japanese university, a “Dean” is someone who has responsibility for an entire faculty or college (e.g. The Faculty/College of Humanities). A Department Head has a much smaller area of responsibility under the Dean, (e.g. Head of the Department of History). You would need someone with equivalent responsibility to a Japanese Dean. If you’re from a university that is so small that there are not multiple colleges/faculties or multiple Deans, then you would need a letter from the single Dean of the faculty, the Provost, etc. It doesn’t matter if that person knows you or not, as I explained in my article on the Letter of Recommendation and other supporting documents. He or she is not going to write the letter – you and your direct advisor do that – he or she just needs to sign it. If you are one of the top students, then your advisor should be able to talk to the Dean (or to go to his or her supervisor, then on up the chain) to explain why you need the signature and to obtain it. I saw some changes in 2018 MEXT. Is it true I have to have Ielts or Toffel score? Is not enough to pass embassy English test this year??!! The change to require an English language proficiency score so far only applies to the University-recommended scholarship application process. The requirements have always been a little different between the two. When you apply through the universities, they don’t have a language proficiency test like the embassy does and they don’t have the opportunity to interview you in person, so proficiency tests like TOEFL or IELTS are the only way they can evaluate your ability. I suspect that you won’t need TOEFL or IELTS for the embassy this year, but (as always) you may need it if the universities you apply to for an LOA as for it. Thank you for all the effort you give us, this was enlarge my knowledge on how to pursue study in Japan. Hello from Malaysia. I ‘m Kautsar. I would like to apply Embassy Recommendation MEXT Scholarship in my country that will open around early April, when I saw the Academic record on the guideline in my Embassy given, they want CGPA 3.4 – 4.0 but I got 3.30 only. For the academic grade, is it will be different from what you explained above for every country? or how? This make me less confident to apply Embassy Recommendation MEXT in my country. This because I would like to register for the first 6 month as research student. From what I knew, I need to get Scholarship to come early as research student, Is it true? If you are already accepted to Hokkaido University and planning to start in October 2018, you would not be able to apply for the MEXT scholarship unless you cancelled your acceptance. The application period that starts in April of 2018 is for students who will arrive in April or October 2019. If you are already studying in Japan before then as a privately financed student, you would not be eligible. Each country can set its own application eligibility criteria and requirements, so if the Japanese embassy in Malaysia is saying that you need a 3.34 out of 4, I’m afraid you would have to follow that requirement. MEXT requires that you have a converted 2.30 out of 3.00 (see converstion scales here), and that is the only requirement I know of, but yes, it can vary by country. It is up to each university (and each graduate school within the university) to decide whether or not they will accept non-degree students (research students) outside of the MEXT scholarship. I don’t know for sure, so you would have to check with the university for that information. My guess is that it probably is the case that they only accept students to the degree program, but I do not know for sure. I am already enrolled in my masters and my course work is about to finish in up coming march or april 2018 . My research period will start after april 2018. I want to apply as a research student (non degree) student. I have searched few universities that are matching my research interest . Can you tell me . As a non degree research applicant . How to apply by embassy or university recommendation and can u also mention some guidelines for non degree applicants. All the same rules and guidelines apply to non-degree applicants and degree applicants. I’d recommend you start with my article on how to get started for information on how to apply. This will probably be a silly doubt. But please reply. I haven’t taken any language proficiency tests for English or Japanese yet. I know fairly good English and i am currently learning Japanese for the Embassy’s written examination. I had read in one of your previous reply to a comment, that its not mandatory to have an English proficiency certificate, as one has to write the exam in the embassy anyway.. But would a Japanese certificate be necessary? Will I be in a disadvantage if I leave the space blank? Furthermore, I am from India and found that they only hold the exam twice a year – one in December and another in July. The registration for December is already closed, and July will be well past to apply for the MEXT scholarship for that year. Kindly advice. A language proficiency certificate (for English or Japanese) is not necessary for the Embassy, since you will go through their language proficiency tests, anyway. But some universities may ask to see one when you apply for the Letter of Acceptance. It’s always better to have one than not. If you are applying for a program taught in English, you do not need to have a Japanese language proficiency certificate and you can even turn in the Japanese language test blank at the Embassy (provided that you complete the English test!). However, having the certificate or doing well on the test is going to show that you’re a more serious, dedicated applicant. So, it’s not necessary to have either an English or Japanese language proficiency certificate, but having one makes your application just a bit stronger. If you’re applying for a program taught in Japanese, that’s going to critical. But if you’re applying for a program taught in English, having the JLPT score won’t make a huge difference at the university level. Be sure to tell the embassy that you’re planning to take it though! It should help show your dedication at that stage. Any doctor who can complete all the tests and fill in the responses in English should be fine, but if you’re applying for the Embassy-recommended MEXT, you might want to check with the embassy first to see if they have a preferred doctor. It might differ on a country-by-country basis. The Medical Certificate is probably one of the least important things to worry about right now, though. If you’re going for the graduate scholarship, now is the time to start identifying (and contacting) potential supervisors and working on your Field of Study and Research Program Plan. The longer you have to work on that and strengthen relationships, the better off you will be! Hello! I am currently on the JET Program leaving in July 2018, but I want to apply for the MEXT 2019 application in June 2018. Do you know if it’s possible to qualify for Embassy Recommendation if I’m still living in Japan, but will be back in the States within a month? Yes, it’s possible to apply. I know someone who was working with the JET program applied, and has made it at least to the secondary screening, so far. You’d have to show that you plan to return back to the States before the scholarship starts and, in practical terms, you would have to return for the interviews and other procedures at the Embassy, but as long as that’s not a problem for you, you’ll be fine! I have applied MEXT this year 2018 – Embassy recommendation with Research student. I have passed the 1st round and now got 2 LOA from my desired Japanese university. My GPA is not so high, is the second screening evaluate the GPA ? What the MEXT actually do in the second screening ? I satisfy all MEXT condition in the MEXT guideline. They don’t mention about the GPA. Although I have got 2 LOA from my desired universities but I still very worry. No, your GPA should have been reviewed as part of the Primary Screening (before you even got to the exams or interviews), so if you’ve passed that, you should be good! Even if you don’t think your GPA is that good, when it’s converted to the MEXT 3.0 system, sometimes it ends up looking much higher than it does in your home system! The secondary screening is really to make sure there aren’t any problems or errors in the paperwork. Then MEXT will start contacting the universities you got LOAs from to ask them to accept you. Everyone I’ve ever heard of who made it as far as you have eventually got the scholarship! If i don’t have any certificate in English what should i write ? And is it necessary ? English certificates are not necessary for the Embassy-recommended application (though some universities may ask to see something). If you don’t have a particular certificate, you can leave that part of the application form blank. You’ll take an English language test at the embassy during the primary screening process, anyway. My name is Karegeya JMV from Rwanda. I would like to know how i can submit my filled MEXT scholarship application form. If you’re applying for the embassy-recommended MEXT scholarship, then you would need to submit it to the Japanese embassy in Rwanda. I recommend you contact them for their deadlines and application procedures. If you’re talking about my sample form, then when you sign up for my mailing list, I’ll send you a download link by email. If you’re just looking for the unfilled application form, you should be able to download from the website of the embassy or university where you intend to apply. I saw your inquiry on the “How to get started” post and replied there, instead. Hello! I have a question about the publications section. Should I list only the publications that I am the first author? I would recommend that you list all publications, regardless of whether you are the first author or not. Look for the headline “Considering Language Requirements” on that page. I am living in Afghanistan. The Japanese consulate recently announced the MEXT scholarships here. I am willing to apply for the undergraduate scholarship. However, there are some things that are bothering me. Are there any quotas for Afghanistan? considering, the past papers’ difficult questions, we won’t be able to compete on an international level. Second, I’m 21 years old right now and will be 22 in December. I’ve called the consulate and they said it’s okay. I’m also an undergrad at a university here, will it hinder my chances of getting accepted? As you know, there are two options the Natural Sciences and the social sciences. I prefer Natural Sciences, however, the test will be more difficult as it will contain chemistry and physics in addition to mathematics, English and Japanese. Should I go for the soncial sciences? Yes, there is a quota for each country through the Embassy-recommended scholarship. You would still need to meet all of the eligibility requirements, of course, but you would only be competing against other Afghans. As long as you meet the age requirement (as the embassy said you did) and will finish your undergraduate degree before you go to Japan, then there will be no problem with your application. I think there might be some confusion about the types of scholarships though. The “natural sciences” and “social sciences” categories only apply if you are applying for the undergraduate scholarship. Since you said you are an undergraduate now, I assume you plan to apply for the graduate scholarship. In that case, you would not need to take the tests you mentioned, only language proficiency tests. I want to ask a question that if I don’t know anything in the form what should I do leave it blank or put a ” – “(hyphen) after printing the form. I would write a hyphen or “n/a”, but I would recommend doing it before you print the form. I try to avoid any handwriting on the form at all, if possible, since it’s much easier to correct a printed page, if necessary. sir.I had already filled the form with blue pen and submitted. Because before this post I read no where that form should be filled in black…so will my application denied?? will it affect my application?? waiting for positive response as soon as possible. If it’s a problem, then the embassy should contact you to ask you to correct it. They won’t reject you outright for using blue. I just recommend using black pen to save yourself time and possible corrections! There are two types of application paths I discuss on this site. One is the University-recommended MEXT Scholarship, the other is the Embassy-recommended MEXT scholarship. If you are applying for the University-recommended scholarship, then you may only apply to one university and aplying to more may result n your disqualification. However, for the Embassy-recommended MEXT scholarship, you are required to contact up to three universities. I hope that helps clarify the situation! I would not recommend changing the form from Excel to Word. Completing it in excel and submitting it is the best course of action. If you’re really set on changing the format, I think you need tech support, not scholarship advice, because this is beyond my ability. in point 15 which option should be chosen by those who are applying for Bachelor? This article and the sample form are for the application process for Research Students, not undergraduate. You’ll have to use a different application form for that. I’m afraid I don’t understand the question. What, exactly, do you want to know? Hello TranSenz! I followed your blog closely during previous applications, it has been extremely grateful. I have a tricky question that I definitely need your wisdom with!! I am applying for MEXT Embassy now, interviews would take place in July. In my case, I have had skype discussions/interviews with my prospect supervisor discussing my topic and the research in his team, have received acceptance letter from the university (for Oct 2017, since the professor wants me to start asap), and the university will send me the Certificate of Eligibility as soon as I send them all necessary details. My professor agreed to apply for MEXT and hope to receive it (even though it would be entering Oct 2018 instead), since I will also apply for an Oct2017 scholarship in case I don’t get MEXT. For MEXT Embassy, we are expected to contact university and obtain an acceptance letter after the results are out. Now, how much of this should I mention in my application and/or in the interview? 1) I will definitely mention discussions with the supervisor and knowledge of the ongoing research. Is this a bad idea? 2) Should I mention anything about the acceptance letter? COE, etc? Am I correct in assuming that if you pass the primary screening, you will cancel the Fall 2017 admission offer and ongoing scholarship application in favor of MEXT 2018? In that case, my advice would be you don’t have to mention your back-up plans. Tell the Embassy what your plans are under the condition that you get their nomination. So, yes, I would certainly recommend that you tell them that you have been in long-term conversations with the professor about your research and his and you have his informal assurance that he would give you a letter of acceptance if you pass the primary screening. On the other hand, if you would only be taking the 2017 admission offer if you do not pass the primary screening, then I would not mention it to them at all. That situation only becomes a reality if you don’t pass the primary screening, and in that case, what you do doesn’t matter to the Embassy, anyway. Can someone explain to me were I am to find the placement form? It seems it is necessary for the application but I cannot find it! It may be too late now to help, but you should be able to get it from the Embassy’s website where you plan to apply. If they don’t have it available there, you can download it directly from MEXT’s website (2017 version) at this link. Thank you very much for your article, ir has been a great help but I’d like to ask. I majored in engineering in my bachelors degree and am currently studying for an MBA in financial management. My intention is to apply for MBA in International business but am thinking am not eligible because of firstly my present field of study as you mentioned and secondly since am already running an MBA program even though it is in another specialization currently. What would your advice be? If you’re trying to get a second MBA, I would think that your chances would be very low. MEXT is going to want to know what the benefit to the Japanese government would be of helping you get a repeat of a degree that you already have, even if there is a slightly different focus. (In general, I don’t think repeating the same degree level, even if it was an academic degree, would give you a good chance). I would recommend that you try for a Doctorate in Business Administration instead, or something similar. thank you for this really useful information. I have a technical issue that I haven`t been able to completely solve. The specified photo size is 3.5×4.5cm, but when printing the form on A4, the photo just doesn`t fit in the designated space. Although a small detail, I would like to know if this is normal, and if I should worry about it or not. 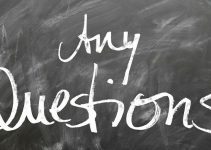 I assume it’s much too late to help you by now – it has been taking me a long time to catch up with the volume of questions I’ve been getting – but in case anyone else has a similar question in the future: That’s fine. You can overlap the borders a little bit. This post is very helpful, but I have some questions. 1. My name consists of 3 words and I don’t have surname. How to write my name? Should I separate it? 2. I was born in June 2000, which one should I write, 17 or 18, in the ‘Age april 2018’ section? 3. I come from non english speaking country, and I never test IELTS or TOEFL. Should I empty that section? 1. In your case, I would recommend writing all three names as your “given name” in the order that they appear on your passport. 2. You will not have had your 18th birthday yet, so you will be 17 in April 2018. 3. Yes, but you don’t necessarily need a test score to apply for the Embassy-recommended scholarship. 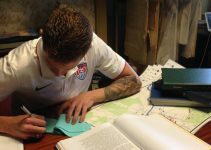 You will take a language proficiency test at the embassy. Greetings Travis. under Academic Record, there is a section under each school level written REMARKS. what do we write there? thank you for your assistance. You don’t have to write anything there. That is just in case you need to explain something like transferring from school to school, spending a year abroad, leave of absence, etc. First of all many many thanks for your article. Congratulations on getting nominated for the university-recommended MEXT scholarship! If you get nominated by the university for the scholarship, you are practically guaranteed to receive it! If you didn’t receive your notification in May (general category), then you should get it in late July/Early August (PGP). But PGP-category scholarships, even more so than general category, can be considered a lock if you get the nomination. So, you should have nothing to worry about! Hello pleaaw i have a question i am an undergraduate student can you give me an example of writing a specialized field of study in high school.. I am in natural sciences but i didn’t specialize in any field because it’s a high school do you understand me? I don’t think there is any expectation that you would have specialized in a particular field since most high schools don’t offer that option, so that should not hurt you. My name is Ahmed I received the MEXT scholarship last year thanks to your guide. I just want to say thank you for this epic guide you helped me a lot cuz of this guide i was able to pass the screening and get the scholarship thank you so much I wish you the best in ur life u deserve it. Congratulations! I wish you the best of luck with your studies in Japan. kindly may I know how was the test? and when was it held..may I know the exact date and month..I would be very thankful . Could u help me about first screening test you gave for this scholarship ? Hello Travis, I’ve got a question, I’m a MD right now and I want to specialize in Ophthalmology, but first I wanna do a doctoral course and then proceed to the residency, in that case were it says Term you wish to study in Japan, should I put “Up to the completion of doctoral program” or “Up to the completion of the professional graduate program”?. Thank you! A “Doctoral course” in this case refers to an academic PhD. If you are applying for an MD course (or JD, MBA, Teacher’s Training, or any other practical, rather than academic, course), then that would be a “professional graduate program”. We so blessed and thankful to have you. should I put it in the middle name with my father's name ? In your case, you would write “SUAD ZIAD HUSSEIN” as your first (or first and middle) name. It doesn’t really matter whether you write your names all as your first name or if you split them between first and middle, since in Japan, your middle name is considered to be part of your first name, anyway. Hi, if I attach the photo digitally on to the form and then print out the document in black and white, is that okay? Or does the photo need to be in color? The instructions do not specify whether the photo is to be color or black and white, so either is acceptable, as long as it is clear and high resolution. I’ve never been to Japan. I do have some Japanese skills (N4-n3) and a Japan-related interest of study. As someone who has not been to Japan before, will I be at a disadvantage to other candidates? Is it a good idea to squeeze in a 1-2 week trip to Japan now so I can list it in the application form? I’m afraid people might think I’m unaware of what I’m getting myself into? No, not having been to Japan before is not a disadvantage. Most of the applicants I saw (and most of the scholarship recipients) had never been to Japan in the past. If you have N4 or N3 level Japanese skills, you’re better off than the majority of applicants I saw for the MEXT Scholarship. Your language studies prove that you’re serious and preparing for this. You will probably be asked during the interview how you think you might adjust to living in Japan, but you can refer to times when you’ve visited any other country besides your own and had to adjust to the culture, or even to experience working with visitors from other countries in your home. If you can use any kind of intercultural interaction experience to show that you can adjust to new ways of life, you should be fine! Thank you very much for this wonderful work you are doing. I just want to know whether universities will demand an application fee from MEXT scholarship applicants. I saw that you had asked the same question on another page and answered it there. Thank you very much. I want to ask how to produce the square with the check mark in excel. It depends on the font you’re using. I was using the Japanese font on my computer when I completed that. According to Microsoft, you can also do it with wingdings font. Another option would be to replace the box with a capital “X” next to the option you want to check. That should be clear to the evaluator. Hi there. Your posts are so helpful, so I am seeking your advice on this case of mine regarding the English language qualification. So I made of mistake of not taking any English test this year (my latest IELTS was from 2014 in which I scored 7.5) because I took my two-years Master in an Australian university (I am from non English speaking country). The deadline for MEXT here is exactly next week and I don’t think I can find any test that will issue the result score by that deadline. Therefore, any advice please? Thank you! For the Embassy-recommended MEXT scholarship, you are not required to submit IELTS scores to the Embassy. If you pass the document screening portion, you will take an English (and Japanese) language proficiency test at the embassy and they will evaluate you based on that. When you reach out to universities to request a letter of acceptance, some might want to see English language proficiency scores. However, many will waive that requirement if you earned a degree in an English speaking country (such as Australia). The fact that you met the Australian university’s entrance requirements and completed two years of studies there in English should be good enough! At least, that was how we have done it at the universities where I’ve worked. Hey there! Thank you for this wonderful write-up and sample. I have one question: I transferred schools during college and studied abroad. Should I write “University of “”” / University of “”” ” , mention I transferred in (2014) and that I studied abroad in Spring 2016 in the comments? Would that be too much information for one box? It sounds like you might want to attach an extra sheet to explain your situation. I would recommend writing “See attached” in the university name block and including your overall start and finish dates, as well as the total duration in the form. 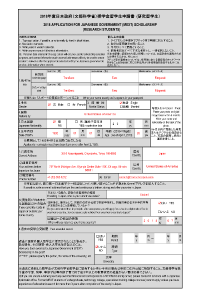 On the attached sheet, you’ll want to format as close as possible to the form. You would create two blocks for Tertiary/Higher Education (Undergraduate), one for each school you were enrolled in (not counting your study abroad). In the remarks section of the first block, explain why you transferred. Also, fill in your study abroad information in the remarks for the appropriate school. This year, the recommendation letter became free-form, with no particular questions, though they do provide a sample letter from last year. I have a sample recommendation letter for the University-recommended scholarship on a another post. Some of the formatting requirements from that letter do not apply to you, but the content could be a good point of reference. If you work in a small business and your “employer” is the owner of the business, then “employer” is appropriate. Thank you so much for putting together such rich information concerning MEXT scholarship. I have gotten quite some understanding to aid the application process. From my understanding of your write-up and your replies to comments, I figured that “my present field of study should be the course I majored in for my Bachelors degree.” please correct me if I am wrong. 2- writing about study program in Japan. Reason for the difficulty is that, I want to apply for a “taught masters degree program” and not “research masters program”. Yes, your present field of study would be your major from your Bachelor’s degree. I’m working on a new guide to help walk you through the process of writing the Field of Study and Research Program plan, and it’s not possible to answer such a broad question until I have that whole thing ready. If you want to know when it’s ready, then I would encourage you to sign up for my mailing list, if you haven’t already. 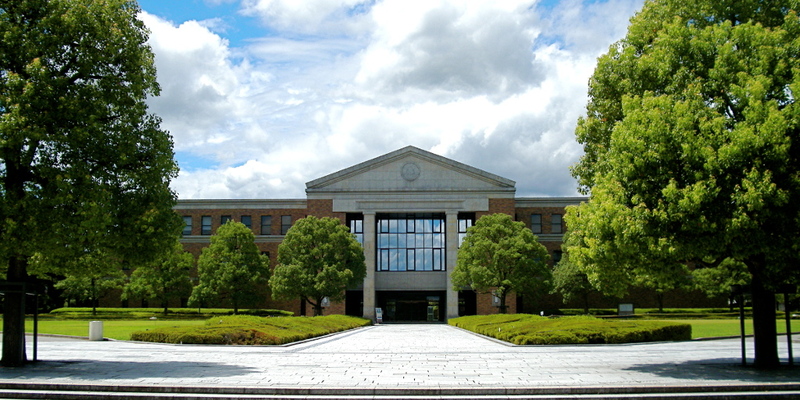 A Master’s degree is a research degree in Japan. Depending on your program there may be more or less coursework involved, but you should absolutely plan on doing your own original research! I have a question about the academic record. In my country there is no distintion between lower secondary education, and upper secondary education. It’s just secondary education, and it lasts 4 years. Should I split it? You’re right (of course), even the Japanese Ministry of Foreign Affairs’ explanation of the Chilean education says it is 8 years of primary and 4 years of secondary, not separated. That’s actually the first time I’ve seen that. If they have any doubts, they will look it up on MoFA’s site and see that you are right. Effectively I’m applying to the embassy. Considering that this is the first time that you’ve seen this, I’ll let the answer from the embassy here in case any other Chilean comes across this site. The 4 years of secondary education goes in Lower Secondary Education. One can fill Upper Secondary if attended what we call a “Pre-Universitario” (wich is not part of the official chilean education system and is taken alongside lower secondary education). Thank you for sharing that, David! Thank you very much for all the input you’ve given me during this application season! I have been meaning to ask, I audited a rather rigorous masters/PhD course (5 years) for a semester in my university during my undergraduate. This included doing all the homework, exams etc that all the other future PhD students were doing. However, due to bureaucratic reasons, I was told that the university was unable to put any mentions of it on my diploma / certificates. Would I be able to add this into my application somehow, perhaps in the graduate studies field whilst including a comment? Secondly, I am applying for multiple masters program, however some of them only start in September whilst others start only in October. What should I put into the preferred month of arrival field? Finally, you mentioned that one might be able to put their undergraduate thesis into the publications field, even if they are only held in the university library. Is there a way to input this without sounding silly, i.e “Published in the University library”. Again, I want to emphasise that I am very grateful to all the advice you have given me. I have been waiting for this article and it certainly did not let me down. Thank you for your time in advance. In your educational background, you can only list programs that led to degrees, so you wouldn’t be able to write the audited program in there. However, if it is relevant to your research plan, then you could mention briefly it in the first section of your Field of Study and Research Program plan that asks you to list past research. That would get more notice than your educational background, anyway. I think if you put September as your desired month, you will be fine. At the end of the day, it’s your preference, not a demand (and not a guarantee from MEXT!) Keep in mind, though, that your university may choose to send you to a semester of Japanese language studies first. In that case, you’d end up spending one semester in the language program then a semester as a research student before starting your degree a year later. For your thesis, it it was bound and placed in the library, then writing “[University] Library” or just “[University Name]” as the publisher should be fine and I don’t think it would look silly. Your guideline should be: How would I cite this if I was going to use it for research. Perhaps an advisor or librarian could help you figure out the best way to cite it for the citation style used in your field. The application form has limited space on publication information, as well as honors and awards… Do you recommend attaching one’s curriculum vitae with the application form? No, I do not recommend attaching a CV. Where I used to work, at least, we would not forward CVs (or any other documents that were not part of the submission requirements) to the screening committee. If you have more publications than you can fit in the space provide, then write “see attached” and attach a sheet listing only your publications without other extraneous information. That shows more respect for the reviewers’ time by giving them only the information they asked for. For your awards and accolades, if they are relevant to your research and you can thread them into your Field of Study and Research Program Plan, or bring them up in your Letter of Recommendation, as long as it isn’t blatant and awkward, I think that would be more helpful for gaining attention.